The Bern innovation model includes essential new elements at three levels: strategy, process and organization. 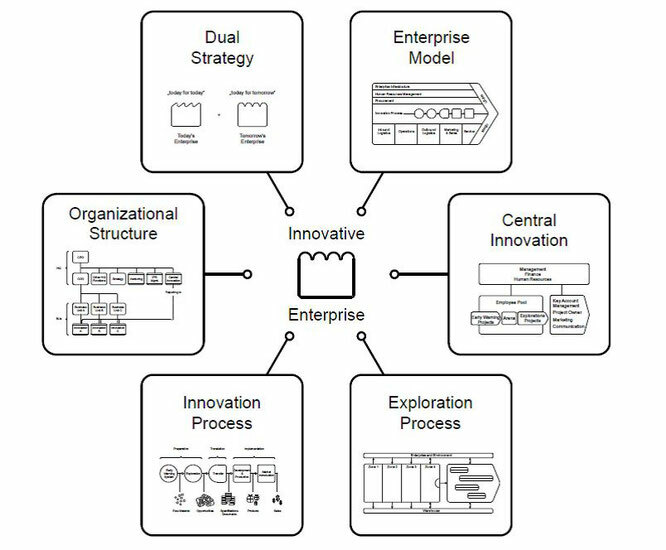 The model is based on a dual strategy, a comprehensive innovation process and a specific innovation organization. We refer to an enterprise (re)organized in this manner as “Innovative Enterprise".